Next Thing introduced Dashbot Car Dashboard Assistant based on CHIP Pro module late last year, and it will get some competition with Dride, a driving assistant powered by Raspberry Pi, that can also be voice controlled like Dashbot, but includes a Pi camera to record videos, and alert the users of dangers using computer vision, for example when they drive too close to the car in front. The developers also provide “Dride – Passenger Seat Driver” app for Android & iOS in order to easily share videos, and use third party services like Google Maps, Alexa Assistant, or Spotify. The video below will give you a good idea of what Dride is capable of. Dride software will be open source, and you can already find some documentation about the SDK. The project has just launched on Kickstarter with the goal of raising $100,000 for mass production. If you already own a Raspberry Pi and Pi camera, a $99 pledge will get you the extra parts with the HAT, outer shell, and car charger. A complete system with the board, camera, and micro SD card pre-installed with DrideOS, requires a $139 pledge (Early bird). Shipping adds $20, and deliver is planned for September 2017. Like the way they show it wireless on the screen but plugged into the old cigarette socket, how does the power get between the two.? Anyone watched Clarkson, Hammond and May ( The Grand Tour ) trying to get in car navigation and text, to understand what they are saying? Apart from thw cable management, which would have to go all around the front window and come down from the rearview mirror, how will they do the cloud backup, texting your mum, etc? Constant wifi connection to your phone? I’ll read their Kickstarter now, but it seems to promise too much or sound more convenient than it would be, because I already have voice navigation from my phone directly. So have been thinking on this. Main thought you will have a 159 dollar target in your car that is easy to open and sell parts. 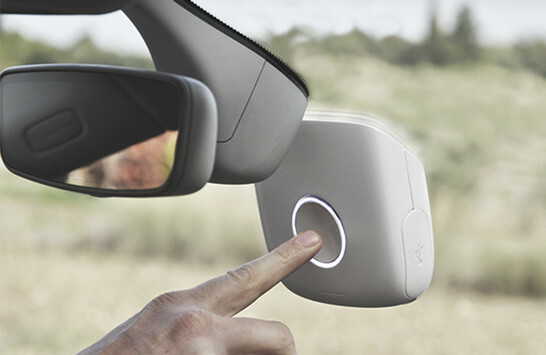 Also since there are already Allwinner SatNav, DashCam crossovers, will we see yet another crowdfunding for a Allwinner device?